Teaching your puppy to toilet in the right spot can be one of the most frustrating experiences you’ll ever go through with your dog. So much so some owners go on a quest to find the ‘missing piece’ of the toilet training puzzle and shell out lots of money in return for it. After all, in their mind, the stress of being up close and personal with their pup’s excrement and constantly cleaning the carpet is easily worth the $49 ‘magic solution to toilet training all dogs. Once they get their hands on this advice, it always turns out to be nothing different to the information they have already heard but lengthened in laborious detail to justify the price. 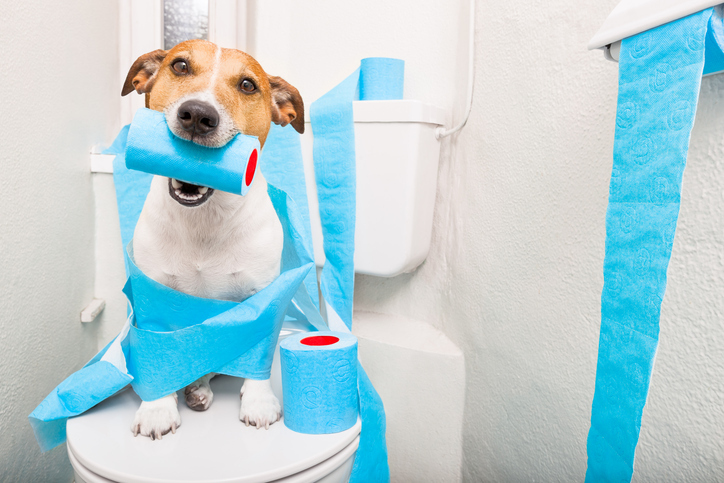 Toilet training your puppy is a simple process but it takes time, the ability to read your dog’s cues and careful management of both the home and your expectations. No tricks just hard work. Once your puppy comes into your home it will have no idea where they should toilet. The way to help them learn is to show them where to go. To do this, lead them to the designated spot at times they typically need to toilet for example every 30 minutes or so, ten minutes after eating/drinking and as soon as they wake up. If they toilet at the right spot praise them by saying “good boy/girl” and give them a treat. If they look like they are about to go in the wrong place you can gently pick them up (providing you manage to do this in time) and put them in the right spot. If you do not get there in time do not make a big deal about it as the dog may then relate your stressful state to not wanting to be near you. Rather clean it up (with a spray that eliminates the odor) without a fuss and understand it’s going to take some time. Your dog won’t toilet predictably so be aware of their subtle language to show they are going to toilet. This could include more sniffing than usual, circling, a squat and walking towards an area. If you see any of these signs, react quickly by leading them to the designated spot. 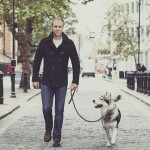 Ensure you close doors, pick up all rugs and put down training pads to increase your dog’s chances of getting it right. They will toilet on the mats by sheer fluke but over time they will learn to associate their actions of toileting on a pad with receiving a tasty morsel. Once they learn to toilet on the pads you can slowly reduce the amount of pads in the home whilst simultaneously teaching them to go outside. Once they are going of their own accord outside you can completely remove the last training pad. A dog is less likely to toilet if they are in a crate. This works for many owners as they can manage the environment if they have to go out for a short while and at nighttime. However, some dogs really reject crates and getting them used to it can be more bother than it is worth. It is best to weigh up your individual situation and figure out what works for you and your puppy. All dogs have the same needs but what they need in each moment varies with each dog depending on the environment/time of day and their physiology. For example, if you are teaching a French bulldog or whippet puppy to toilet outside on a cold night with their thin coat then expect them to resist. In these moments, either put a coat on them or do not force the issue - rather let them toilet on a training mat. On a sunny day, you can hang outside with them for longer periods to get them into desired habits of behaviour. To summarise, be patient with your puppy and teach them to toilet in a calm, consistent approach. Manage the environment by closing doors, picking up rugs and using training mats. Learn to read their signals and react in time. Understand their needs and don’t resort to paying out for a magic formula on the Internet – it doesn’t exist!